A chalk lighthouse standing on Cape Kyogamisaki, the northernmost point of the Kinki region. The lighthouse is one of only six in the country to use a first class lens and has been selected as one of Japan’s three best lighthouses. 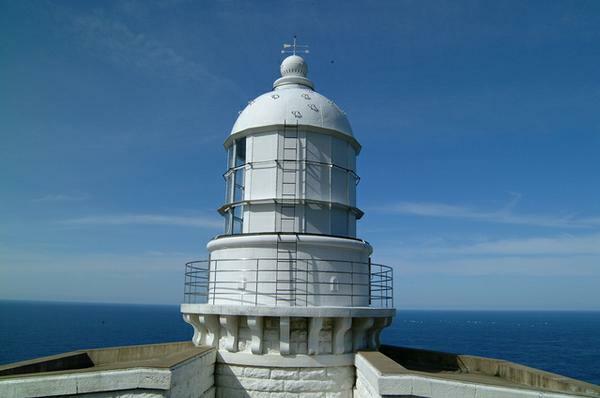 The lighthouse was erected here on a cliff 140 meters above the sea in 1898. Famous for its scenic beauty, visitors can get a sweeping view of a rias coastline comprised of the deep azure of the Sea of Japan and countless curious-looking stones interwoven with pillars of basalt. The area is also a rich natural habitat where falcons are confirmed to live.